Greek Island Spice is a unique artisan sauce manufacturer, handcrafting small batches of clean label refrigerated condiments exclusively “to the trade”. 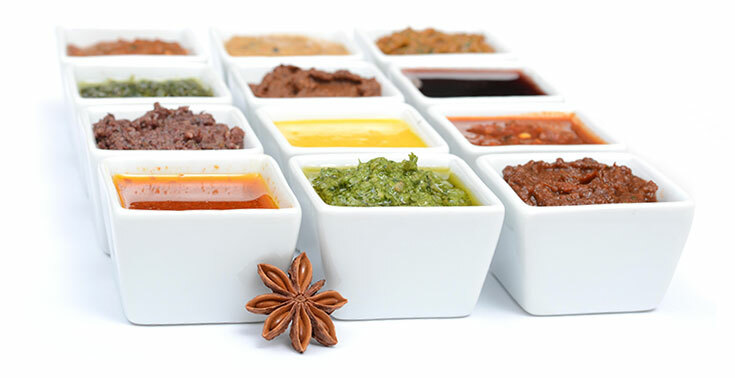 With an expertise in bold global flavors, fresh natural ingredients and trend setting recipes, our collection of artisan sauces, pestos, marinades and other gluten-free condiments offer adventurous trending flavors to the food service and manufacturing industries. Greek Island Spice products are developed for use by culinary professionals and have a rich concentrated consistency, so a little bit goes a long way. These bold, flavor packed products have limitless applications. We suggest allowing a marination time of two or more hours for best results. Although the amount of marinade will vary by product, use approximately ½ to 1 oz. of product to 8 oz. of protein. Marinades can be extended with oil, juice, wine or stock. 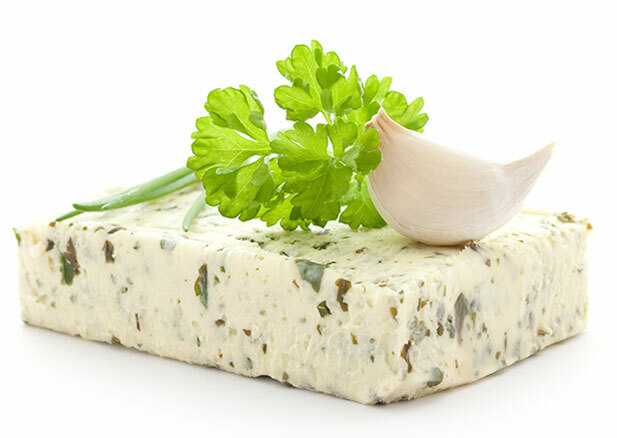 Many Greek Island Spice products can be used as a fast and easy short cut to create flavorful and innovative aiolis, compound butters, soups and stocks. Compound butters are a great creative tool to add interest to a menu. A delicately seasoned butter enhances the bread service experience and a boldly seasoned butter can add excitement to a sizzling steak or finish a dish. Compound butters are easy to make and allow you to rotate flavors for seasonal specials. Aiolis are a versatile staple for adding pizzaz to a menu and can turn an ordinary sandwich into a premium offering. Blend between 6-12 oz. of Greek Island Spice product per quart of mayonnaise for best results. Other ingredients may be added such as finely diced capers, olives, relish, or even jam. Globally inspired flavors are a great way to add value and increase profits! 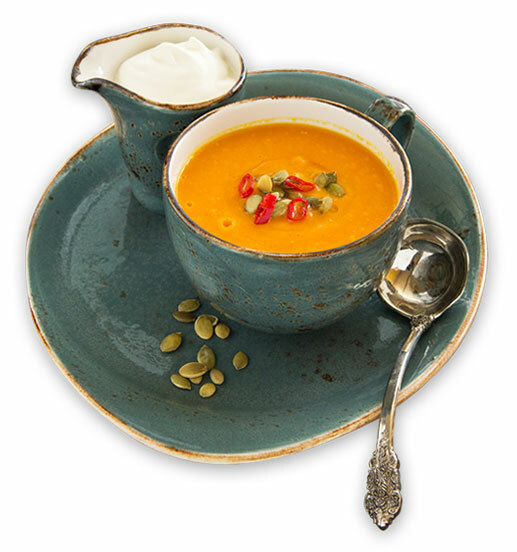 The field fresh herbs and perfectly balanced spices in Greek Island Spice products lend them to be the perfect shortcut for impeccably seasoned soups, stocks and broths. Product may be applied as a marinade, seared then braised, added during the cooking process, or whisked into a stock minutes before serving. 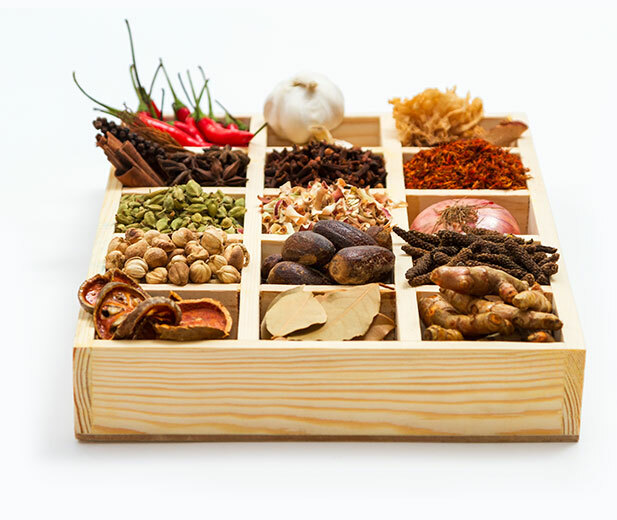 Seasoned stocks may be used for creating rice and grain dishes, noodle dishes as well as lentils, beans and other pulses. 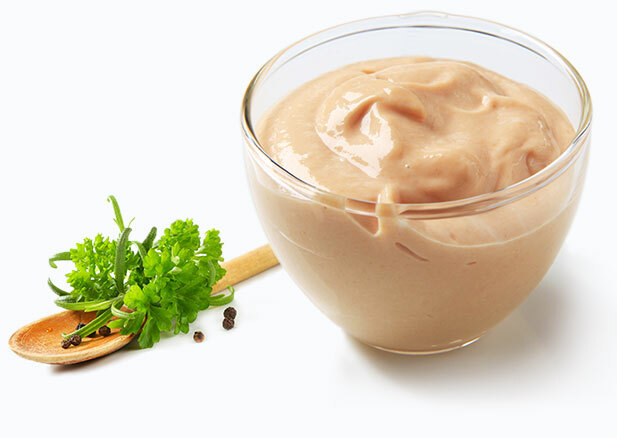 House-made dressings bring freshness and creativity to your menu. Our collection of condiments are a great shortcut to create a perfectly seasoned dressing that no bottled dressing can match. 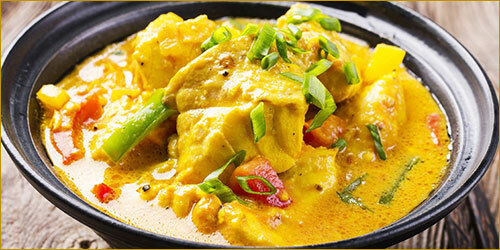 This is an elegant, simple to prepare dish, rich in all the Thai flavors we crave! 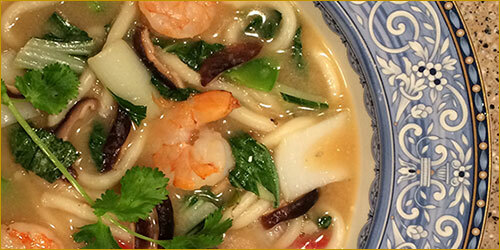 Are you looking to get in on the noodle bowl scene? Here’s an easy way to get with the program.